Who Will Drop An Offer On Superstar Gio First? As waves of hopefuls rise up from the fields and bays and valleys of the Pacific NW we scan the landscape finding the best of the best. This 2018 recruiting class from the Pacific NW is a real dandy, deep and talented. 2019 is right behind them and 2020 already has some legit talent with offers. The scene is live and the boys are getting out of here in record numbers. There are some very deserving athletes who have not landed offers yet but who are turning heads. One of them that really stands out the most for me is Lincoln High School (Tacoma, WA) 2019 linemen Giovanni White. His older brother Quazzel White is headed to TCU after a great recruitment and boy can he play. Like Quazzel, Giovonni is thick and solid. When you stand next to these boys you understand you are standing next to a true giant. The mass is not made up or puffed up. It is bone and huge proportions that come from the genetics of a powerful family line. Quazzel is 6’5″ and 300 lbs and solid. Giovonni is about 6’3″ pand right now at 285 lbs and there isn’t much on him but muscle. Their calves are like most humans thighs. They have the same sort of size and mobility that many greats that play our game have had. Giovonni is truly powerful and although he is an excellent Guard or Center he is starting to look the role of a 2 Gap player on defense. He has a great first step and with that hulk-like upper body and longer arms, this kid is a problem. He looks the part of a zero or 1 technique D-linemen but has the skill set and quickness to be a 3 technique guy who will wreak havoc in any backfield. 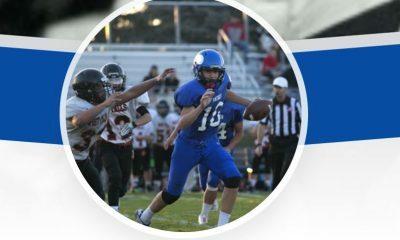 He has interest from several Pac 12 schools and yet the Big Sky schools and Mountain Wests may be his first shot to gain an offer. Whoever it is going to be will earn great respect from Gio who works as hard as anyone I have seen. Respectful, thoughtful, smart, and legit are all words that describe this kid. Like his brother, Gio will go on to play college ball. It is not a question of if but when his first offer will drop. Whoever makes that elusive first offer will rise to a special position no doubt as he moves ahead. 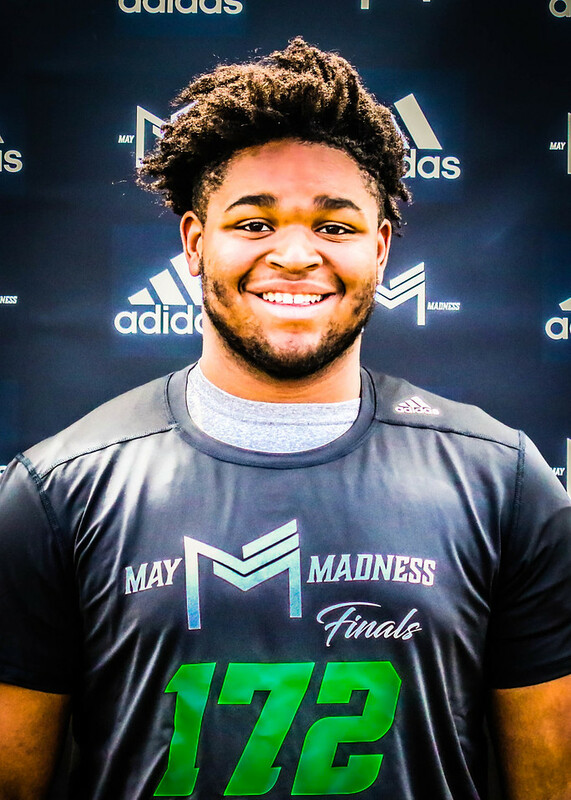 At the end of the 2019 recruiting cycle, he will be at the top of the linemen group and one to watch for years to come. What’s the NCAA rule? Freshmen, sophomores and juniors can’t be contacted by official collegiate recruiters until April/May of their junior year? I think that’s the general summation of the NCAA rule. However, the rule doesn’t restrict freshmen, sophomores and juniors from completing the collegiate programs’ athletic recruiting questionnaires and communicating with programs’ officials. It’s not a violation of the NCAA rule for recruits to contact recruiters and have conversations with them. Based on my interpretation of the NCAA rule, freshmen, sophomores, juniors and seniors can contact collegiate programs, collegiate recruiters and collegiate coaches, but they can’t initiate contact with a recruits until the allowed recruiting period. Perhaps, Gio may want to reach out to PAC-12, Mountain West and Big Sky programs to get the ball rollin’. Again, I don’t think that’s a violation of the NCAA rule. Am I wrong? The rules have all but been thrown out the Window anymore. Having said that Gio can initiate contact anytime he wants. It is up to the coaches to decide if it is ok to contact him. He was approached at camp and the coaches have their windows down. It is the case that recruits should proceed as they see fit! It is ALWAYS a good idea to be pro-active and go to them regardless of the level of talent the kid has. 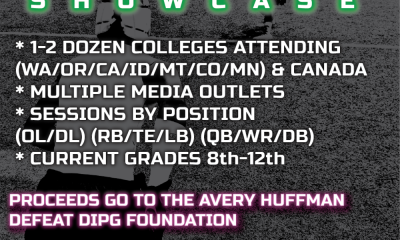 At the NW Best Showcase there were Coaches standing around everywhere and I told the guys around me to get busy “pressing the flesh”. 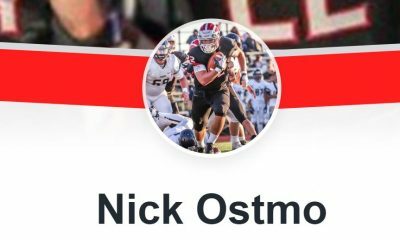 “One of the hardest parts of the recruiting process for families is truly understanding when coaches are actively recruiting your student-athlete. While some coaches have players on their radar as early as eighth grade, the recruiting process for Division I and Division II programs “officially” kicks off June 1 of your student-athlete’s junior year. From that moment, every move coaches make—from official visits to calling—is strictly regulated by the NCAA through recruiting calendars, which vary by sport. So I would expect Gio’s contact level to jump WAY up after September 1st this year. But let me say that Nathaniel Kalepo had 5 D1 offers at that Camp and he is a 10th grader. So if contact is not allowed how did those offers happen? It is a free for all right now. In the end the real talent plays – bigger factors like grades, health, off field issues, and more play bigger roles. Look at Jared Goldwire- he never had things work out in HS as he made some not so good moves but he has played through it and is now on a bright path for his future! Thanks for the question! As I learned in contract law, an offer can be withdrawn in moments, so an offer isn’t binding ’til accepted. A lot of teenagers and parents don’t understand the significance and insignificance of a verbal offer. 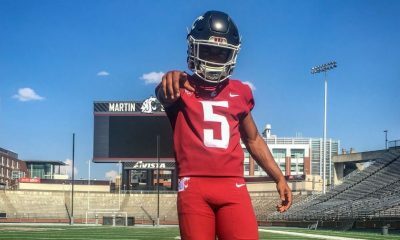 Remember Lakes’ Sammie Long’s commitment to the University of Washington and then the University of Washington reneging on the agreement, http://old.seattletimes.com/html/huskyfootball/2017851428_uwfb28.html#_ga=2.152721340.48377799.1497338113-415549534.1497338113 and http://blog.thenewstribune.com/uwsports/2013/08/21/tale-of-two-uw-recruits-jaimie-bryant-and-sammie-long/. You wrote an article on the events too; parents and student-athletes should read it. Do you have the link?